Where Is Spanish Spoken Outside Spain and Latin America? 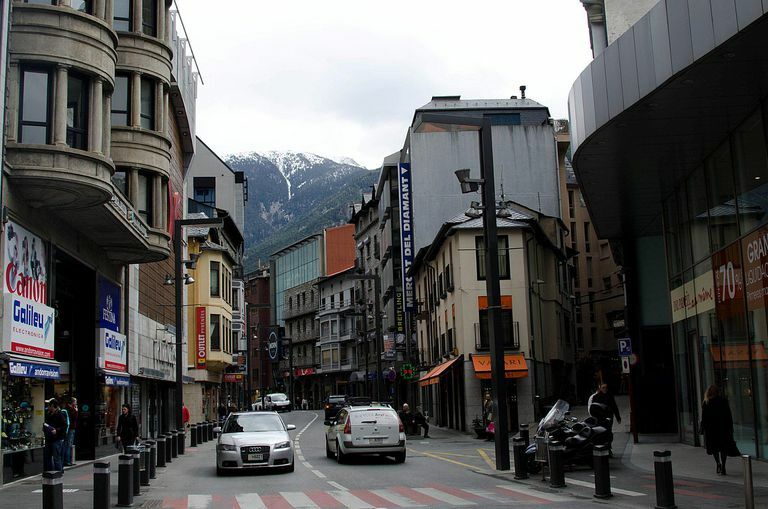 Andorra la Vella, Andorra. Photo by Xiquinho Silva; licensed via Creative Commons. Tops on the list of other countries where Spanish is spoken is, of course, the United States, although it is a semi-official language in only one state (New Mexico). Well over 20 million U.S. residents have Spanish as a primary language, although most are bilingual. You'll find plenty of Spanish speakers with Mexican heritage along the southern U.S. border and in many agricultural areas throughout the country, those of Cuban heritage in Florida, and those of Puerto Rican heritage in New York City, just to name a few. Miami has the largest number of Spanish speakers in the Western Hemisphere outside of Latin America, but you'll find plenty of communities all over that have enough hispanohablantes to support Spanish-language media and services. Next on the list is Equatorial Guinea, the one place in Africa where Spanish remains an official language as a result of Spanish colonialism (the country was formerly known as Spanish Guinea). Most people there speak indigenous languages rather than Spanish, however. French also is an official language. There's also Andorra, a tiny country that borders Spain and France. Catalan is the official language there, but Spanish and French are widely understood. Last on the list of countries with a significant Spanish-language influence is the Philippines. Spanish was once an official language, although today there are only a few thousand who use it as their primary language. But the national language, Filipino, has adopted thousands of Spanish words into its vocabulary, and much of its phonetics follow the Spanish pattern. Is There a Difference Between Spanish and Castilian?